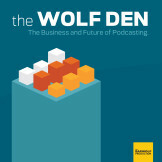 This episode of The Wolf Den is dedicated to the listeners worried about the show being too funny. 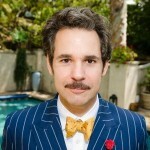 Our guest is the famously somber Paul F. Tompkins who is here to discuss his role as a leading Gateway Guest (among other things) in the least humorous way possible. Paul takes questions from Twitter while pointing out it’s many flaws, and Jeff discusses his dreams for the website, the network, and his tennis career. Now go check out his Ford Focus internet campaign and try not to leave snarky correct-y comments on them!